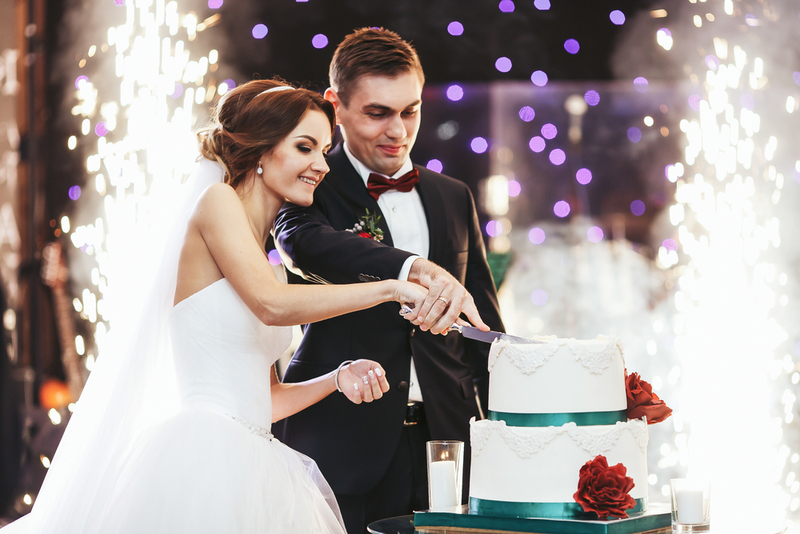 Wedding guests anxiously await the appearance of the bride at the ceremony, but when they enter the reception, the first thing most people look for is that gorgeous wedding cake. Whether you opt to have a gigantic cake full of edible decorations, a simpler cake with a beautiful wedding cake topper, or a dessert station with lots of sweet options, dessert will be a focal point at your wedding reception. Here are a few fun facts from WhereBridesGo.com about this tasty treat. The wedding cake we know today wasn't how they originated. Rather than a sweet cake, ancient Romans baked whole wheat flour bread "cakes." These were broken over the bride's head (believe it or not!) and the guests ate the small pieces left for good luck. In the late 17th century, wedding pies were more common. Couples often served mince pies made of sweet breads to their guests for dessert. A glass ring was baked into it, and the lady that found the ring would be the next to get married. It wasn't until 1655 that sweet wedding cakes became the popular thing to serve. At this time, the popular flavor was the Banbury cake. It is a flat, oval-shaped, spiced pastry which is currant-filled and traditionally eaten with a cup of tea. In 1840, Queen Victoria, who just happened to make the white wedding dress a popular trend, was the first bride to have pure white icing used on her wedding cake. Apparently, that's where it got the name "royal" icing. 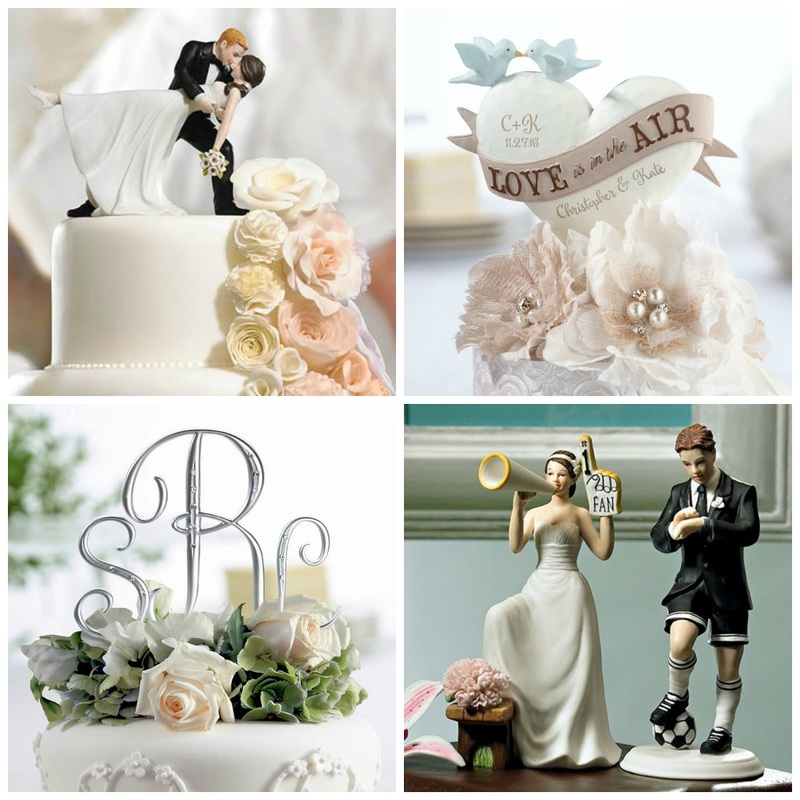 The history of wedding cake toppers says that they were invented by a bride's father. The story that has been passed down claims that a baker's daughter was to be married, and she asked her father to create a symbol of the love between herself and the groom that everyone could see at the wedding. The baker tried several different things, and eventually came up with the idea to surprise the couple by placing two figurines on top of the wedding cake that resembled the bride and groom. On the wedding day, the bride was overjoyed, and the topper on the cake was well-received and loved by all of the wedding guests as well. Many couples now prefer to offer their wedding guests a variety of desserts to choose from. They may still have a small wedding cake to cut, but some choose to skip it altogether. 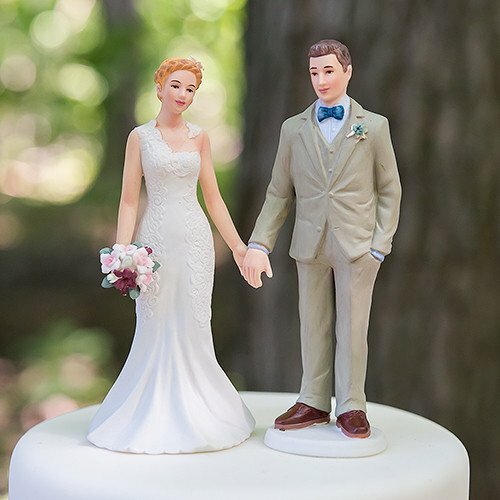 Even if you choose to go the dessert station route at your reception, WhereBridesGo.com has a wonderful variety of cake toppers that look just as wonderful on the table as a decoration as they do atop a cake. After the wedding, you will still have that beautiful cake topper to display in your home as a reminder of your special day. In addition to the best wedding cake tops online, you will also find cake serving sets, toasting goblets, personalized napkins, and so much more to use on your wedding day on our website. The wide variety of styles at WhereBridesGo.com means that every couple, no matter what their personality and style, will be able to find something they absolutely love. After all, like we always say, our online wedding accessory store is Where Brides Go... For What Brides Love!